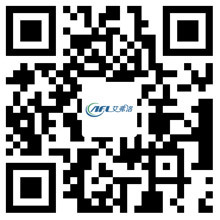 A Close Look into Centrifugal Fans and Blowers - Hangzhou Airflow Electric Appliances Co.,Ltd. Centrifugal fans and blowers are mechanical equipment for moving air or other gases. The term "blower" and "squirrel cage fan" are usually used as synonyms. These fans increase the airflow speed of the rotary impeller. They use the kinetic energy of the impeller to increase the pressure of the air or air, and the air or air flow prevents them from the resistance caused by pipes, dampers, and other components. The centrifugal fan accelerates the air radially by changing the direction of the airflow. They are strong and reliable and can operate in a wide range of conditions. The fan is a constant CFM device, meaning that the centrifugal blower will pump a constant volume of air rather than mass at a constant fan speed. The centrifugal blower was invented in 1832 by Russian military engineer Alexander Sablukov (Alexander Sablukov), and found in Russia, light industry and foreign countries. These fans are the most commonly used fan type in the HVAC industry. They are cheaper than axial fans, and the construction steps are simpler. Used to transport gases or materials and building ventilation systems. They are also used in central heating and refrigeration systems. They are ideal for industrial processes and air pollution control systems. The utility model has a fan wheel composed of a plurality of fan blades, and is installed around the wheel hub. The hub is opened through the drive shaft of the fan housing. The gas enters from the side of the fan impeller, rotates 90 degrees, and is accelerated by centrifugal force. 1. Use of heavy welded components provides structural strength and durability. 2. The process of continuously welded housings provides the strongest structure. 3. The shafting is stretched straight to tight tolerances to minimize exhaustion. 4. Lift eyes on all these fans. 5. The impeller is in proper balance. 6. The selection of bearings provides long service life in the entire operating range of the fan. Afl-fan is a centrifugal fan manufacturer, welcome your visit and choose.